Agreed that this process is possible only for popular files, but still a check will have to be made if the files are exact duplicates correct? Consider the example of a popular ebook. Although the name, size and other relevant attributes are same, what if i made a few annotations in that book. Now my copy is not an exact duplicate. So in cases like these i suppose there are algorithms that check for exact duplicates. correct ? Yes, I’m sure that the files must be exact duplicates! Any change in the file (including metadata) will make it different. they must be checking it at binary level, a binarry diff algorithm probably. i don’t see this as a problem. isn’t this the same as downloading paid content . content is going to be just a copy of the original file. Not like buying a CD where u get a physically different object. hope my analogy made sense. Probably yes, some sort of a binary diff algorithm would work. 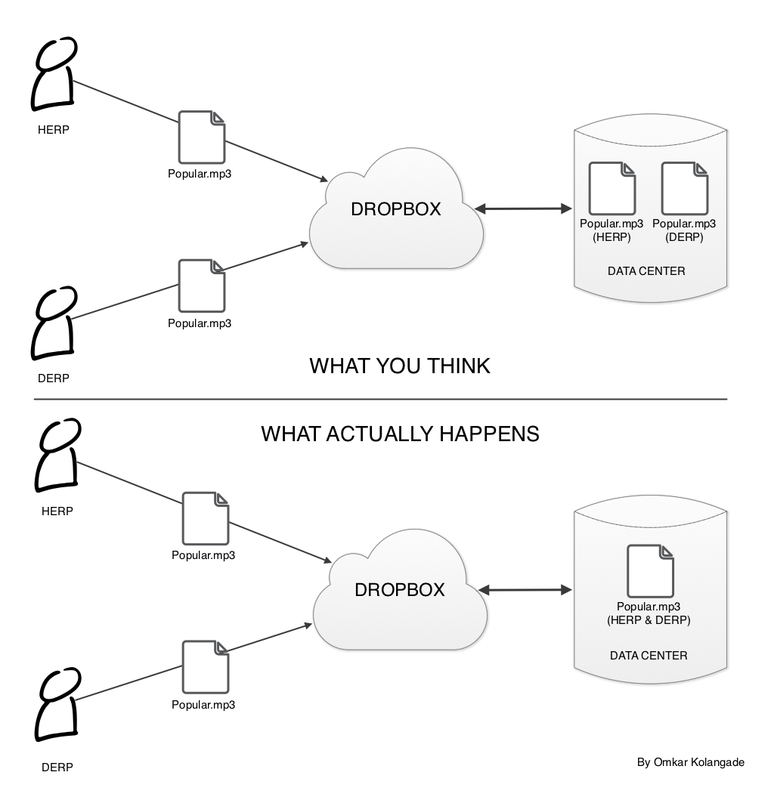 I agree, but the whole ‘Dropbox folder’ paradigm is that you have a personal storage space in the cloud. That’s certainly not the case for popular files at least.